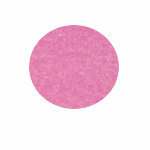 Hello Shimmerz fans! I hope you had a wonderful weekend. Ericka here today with a floral Valentines card using the some Vibez sprays and Shimmerz. 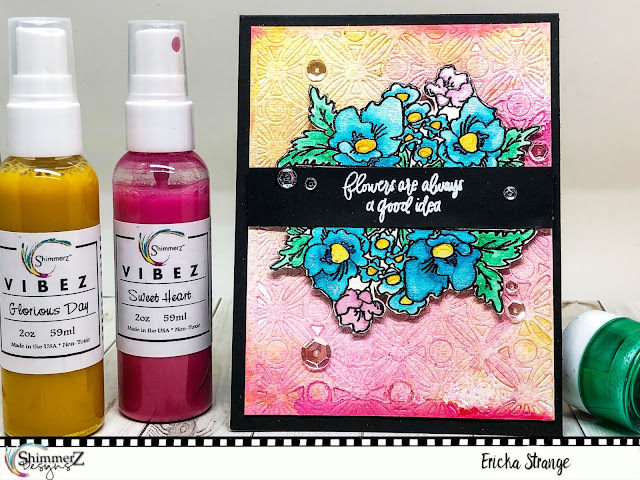 I love combining colors and these Vibez sprays blend so nicely creating a beautiful background for my Valentines card. 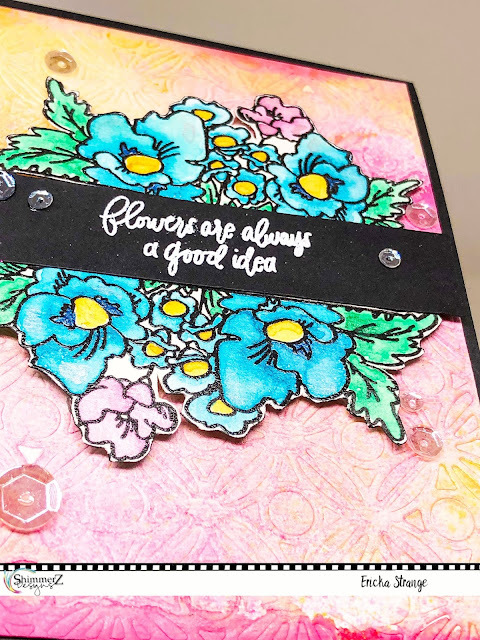 I started out with some water color paper and used it with a die cut from Pinkfresh. I then sprayed the Vibez in Sweet Heart and Glorious Day over the paper. 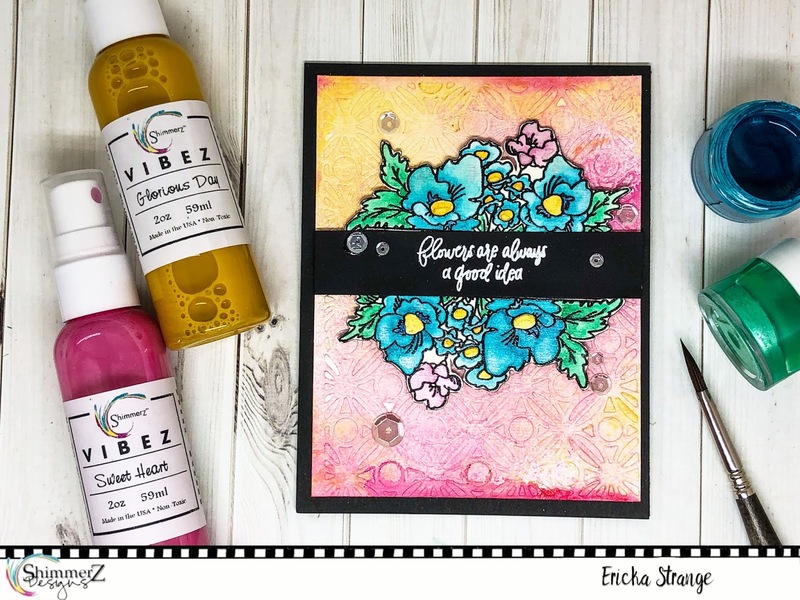 The fine mist of the Vibez was perfect amount to bring out the delicate pattern on the paper without covering it up. 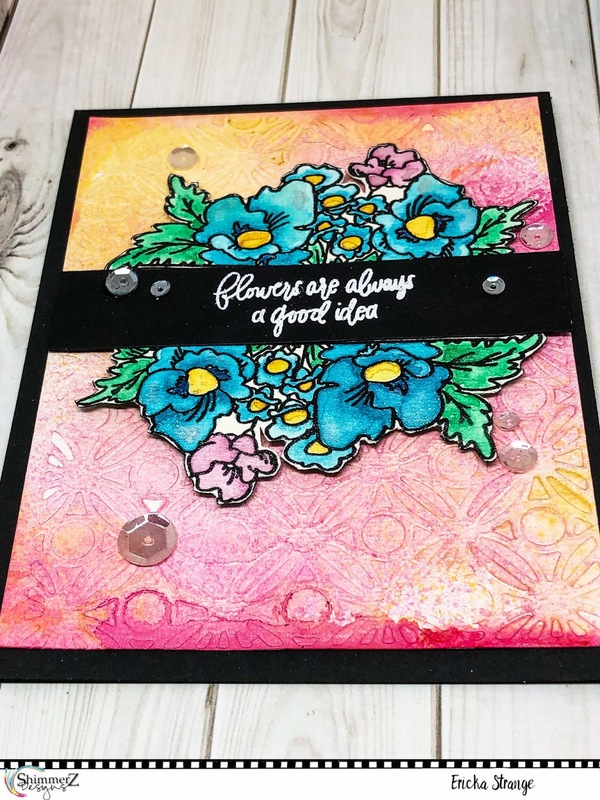 While I waited for it to dry, I stamped and watercolored these flowers from Pinkfresh with Shimmerz Peacock Plume and Jilted Jade. I love the shine and color that the Shimmerz adds to the flowers. Once the flowers were dry, I fussy cut the images and then attached them to the dry card front with foam adhesive to give them some dimensions. 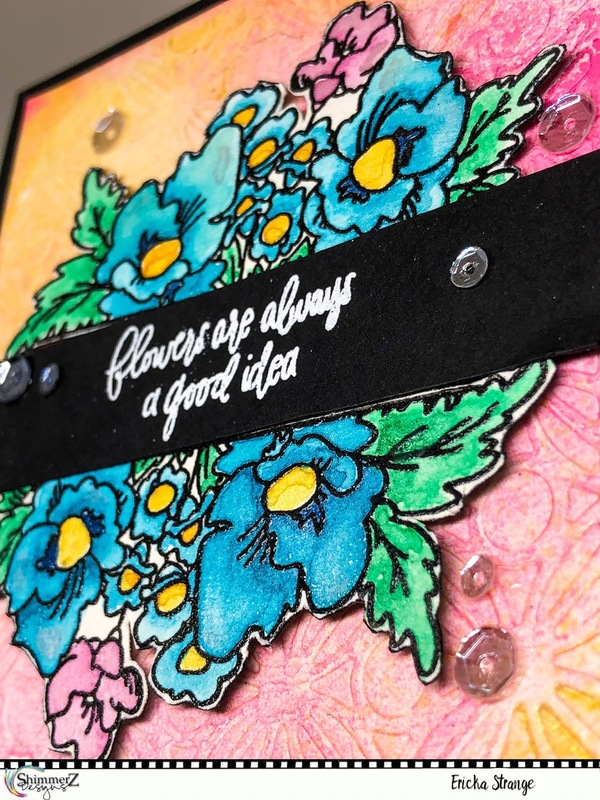 I added this sentiment from the same Pinkfresh set and white heat embossed it, attaching it with foam tape. 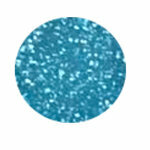 To finish the card, I used a couple of clear sequins. Thanks for stopping by and I hope you have a wonderful week! 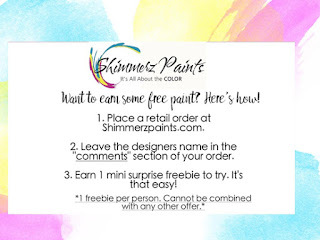 Don't forget if you place an order with Shimmerz Paints to mention my name, Ericka Strange, in the comment section of the order for a fun freebie!